This six hour sunset adventure is a classic. 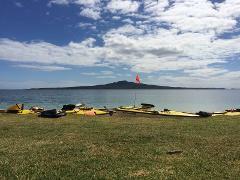 Embark on a 75min paddle across the Waitemata Harbour to Rangitoto Island, followed by a 45min walk to the summit followed by a paddle back under the stars. Daytime tours are also available. This three hour kayaking adventure involves a short paddle across Auckland’s harbour to the quaint maritime village of Devonport, followed by a guided tour up to the military bunkers for some spectacular views of the Gulf. 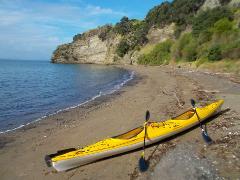 An exciting half day trip out on the Waitemata Harbour to Motukorea, commonly known as Browns Island. This is one of the most beautiful but least visited islands in the harbour.